With a population of around 6000, the town is not only blessed with favourable natural assets, but, thanks to its ancient grape- and wine-culture, it has become one of Hungary’s most popular and most often visited tourist targets. The first written records about the Tokaj date from the year 1353. At that time Tokay and its neighbourhood was already well known for its viticulture and its wine production. In the 17th century the settlement was given the status of “market-town”. At this time, the wine industry in the Tokaj-Hegyalja Region entered its golden-age, which lasted to the end of the 19th century. During the 20th century the town’s development suffered a set-back, and its importance declined. It regained its town status in 1986, since when its development has been uninterrupted. The preservation of the one-thousand year unity of this wine region, and of its viticultural traditions which evolved over this period, justified the UNESCO World Heritage Committee placing the Tokaj wine region on its World Heritage List, in 2002. The core, 132 555 sq km area on the List, corresponds with the area defined in the Hungarian Wine Law, as the area covering the Tokaj-Hegyalja wine region; the ‘buffer’ zone comprises the administrative areas of a further 27 settlements. For an area to qualify for world heritage listing, it has to possess an agglomeration of values which demonstrate that area’s uniqueness; in the case of a cultural landscape region, it has to bear living witness to the one-thousand year connection between man and the land. The Tokaj-Hegyalja grape and wine culture has a one-thousand year history. 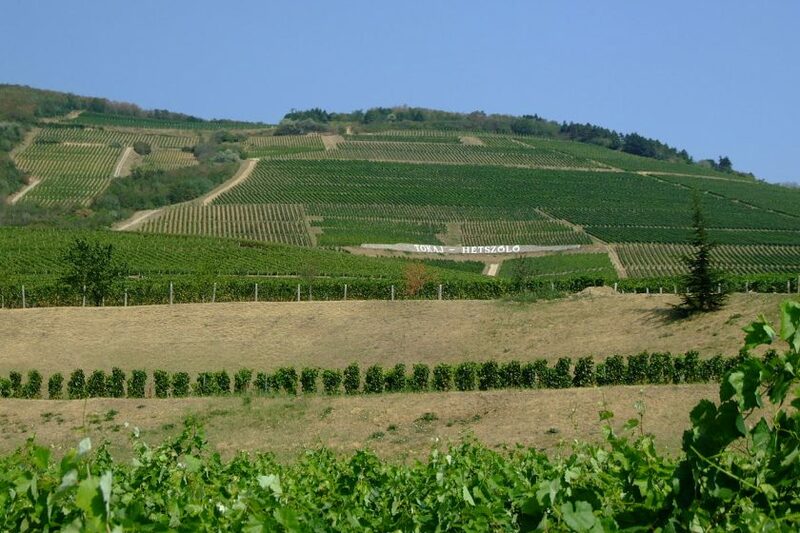 The documented history of the region proves that viticulture was always practised within the triangle formed by the three “Sátor” mountains ie those located at Tokaj, Abaújszántó and Sátoraljaújhely. The Tokaj-Hegyalja wine region was declared the world’s first “closed wine region”, by royal decree, in 1737. This meant that for close on three-hundred years, wine production in this region had to comply with very strictly enforced laws. The specialised processes, and historic traditions, of wine making in the Tokaj region, can be traced via the built heritage they have left in the settlements. These historic traditions have defined the characteristic forms of the wine-cellars in this region, which differ from those in Hungary’s other wine regions. The common ancestor of today’s grape varieties, the ancient grape (Vitis Tokaiensis), was found in this region in the form of an imprint of a leaf, dating from the Miocene Era. The area’s natural geographic characteristics, its geological background, the rocks formed by volcanic and post-volcanic activities – taken in combination, have resulted in the formation of many different soil types. The south-facing slopes, the number of hours of sunshine and their intensity, and the relatively long autumn, provide climatic conditions which promote the formation of mould fungus (Botrytis Cinera); this rots the grapes – resulting in the famous Tokaj Aszú wine. Thanks again to this particular micro-climate, the Gladosporium Cellare mould forms on the walls of the cellars, and this has a beneficial effect on the maturing process of the wine. One of the ancient crafts practised in the area, is that of the coopers. The pedicle-less oak, which is very common in the nearby forests, provides the most desirable type of wood-barrel for the production of the Aszú wine; to a large extent, it determines the wine’s maturing process, its aroma, and its colour. The Tokaj Aszú – “the wine of kings” – is the region’s most famous wine; it is matured for three years in the special barrels. The other wines characteristic of the region are the Szamorodni, the Furmint, and the Hárslevelű.